We have renounced boring round, square and loaf tins this month's theme of Get in shape. We've baked in Bundts, multiway tins and even in numbers! Let's have a look at what everyone has been making this month. We started down in Cornwall with a cake on its way to Wales. 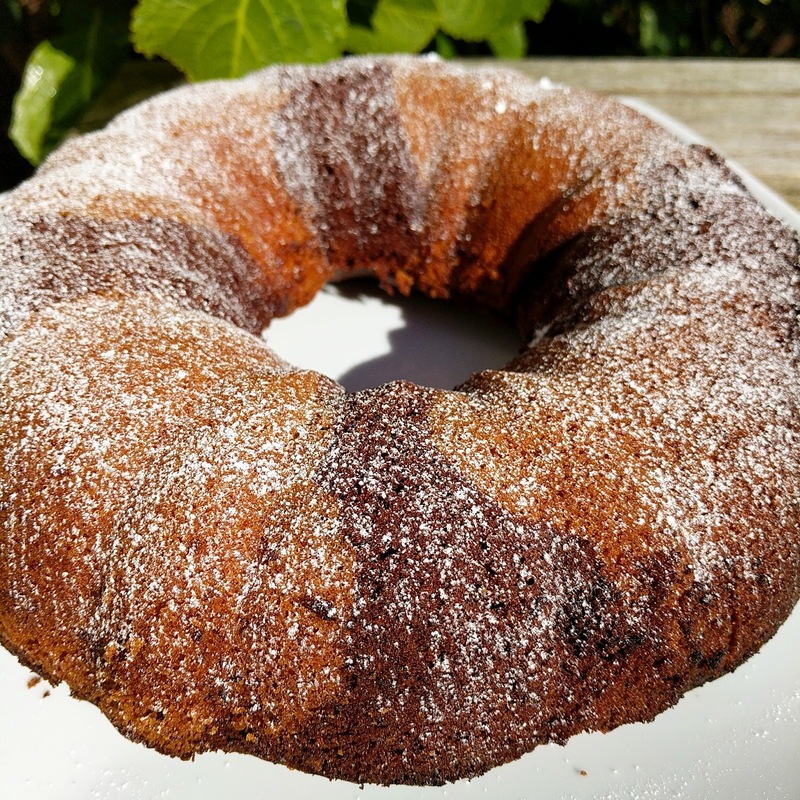 With ripe bananas that needed using up Choclette from Tin and Thyme decided on using them in a Banana and Rum Soaked Raisin Bundt Cake. 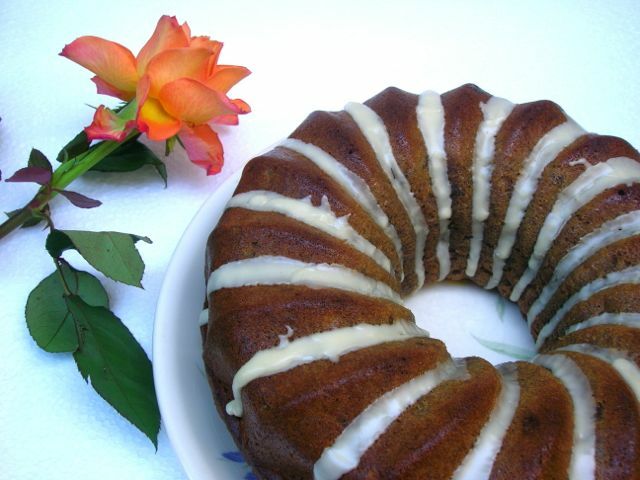 With rapeseed oil and yogurt added to the recipe this is a quick but flavoursome cake. 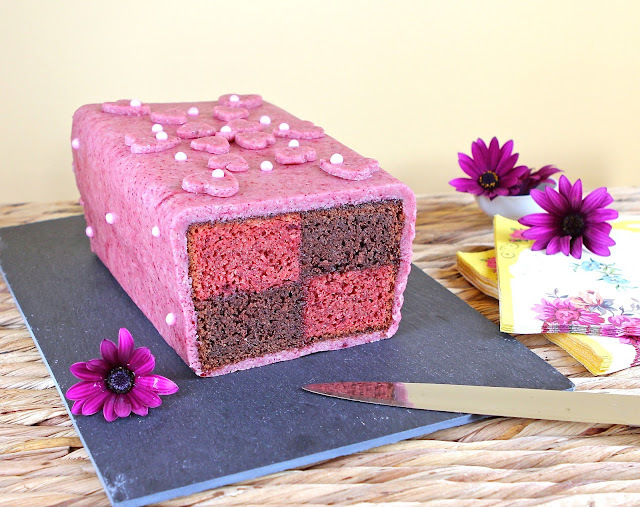 I adore marzipan and just as you thought Kate at The Gluten Free Alchemist couldn't better her Gluten Free Battenburg she has come up with Gluten Free Cherry-Chocolate Battenburg Cake with Cherry-Almond Marzipan! The different layers are baked in a multiway tin with one side a chocolate sponge and the other a cherry one. This is all glued together with cherry jam and wrapped in cherry-almond marzipan. I went shape crazy this month with two cakes. 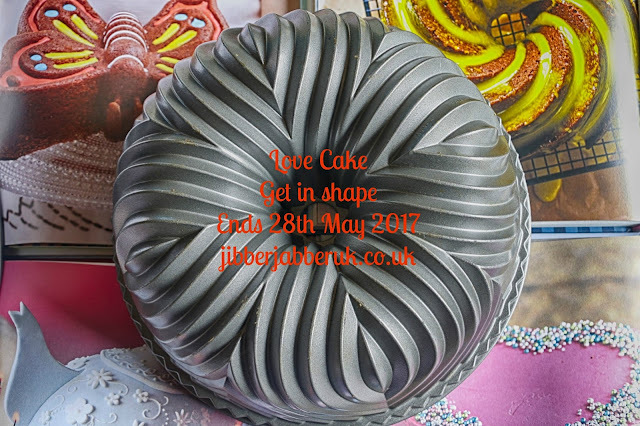 The first was the JibberJabberUK logo cake of Chocolate and Vanilla Marble Bundt. It's quick and easy to make but the two-tone appearance and the ring shape gives it an instant lift. 'I am not a number I am a cake!' Well, actually my second cake was both. 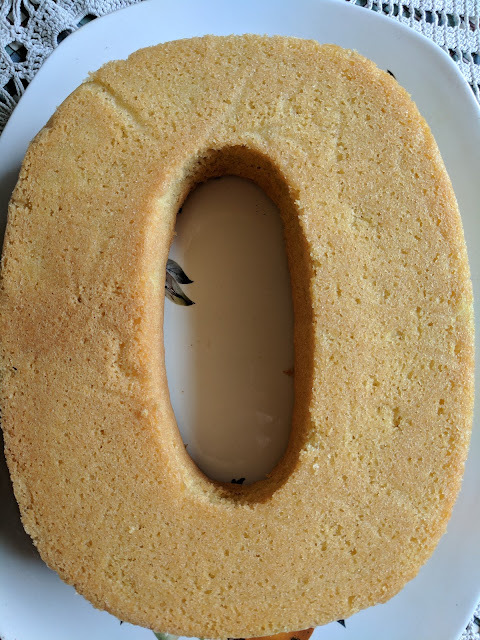 As part of the National Garden Scheme 90th Anniversary celebrations I got designated the '0' as part of a '90' to bake. With unusual shaped tins it can be tricky but I found just the right recipe for it.